Peony & Blush suede is my most favourite perfume, ever. And it has become my signature scent over the last couple of years. It's a very pretty and floral scent; jasmine, rose, and gillyflower. It is charming and elegant, with the crisp top note of a juicy red apple and the sensual base note of suede (which compliments the florals and adds opulence to the fragrance). 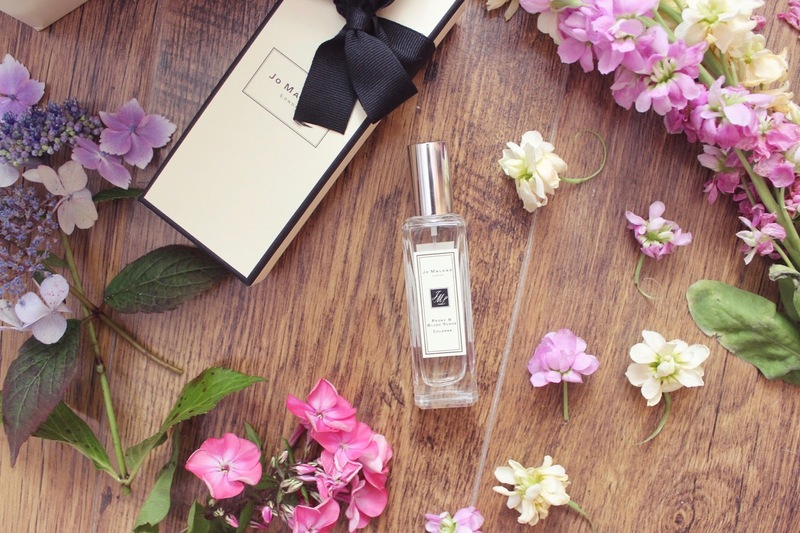 Have you tried any of the Jo Malone fragrances? I'd love to know your favourite! I am totally obsessed with this fragances. I always wear the english pear and freesia cologne, but the next one will be lime, basil and mandarine one. Best perfumes ever!